Parkinson’s disease is a movement disorder whose principal symptoms are tremor, rigidity, bradykinesia and postural instability. Initially, drugs like l-dopa or dopaminergic agonists are able to control these symptoms, but with the progress of the disease these drugs become less effective. Previous studies have reported that repetitive transcranial magnetic stimulation (rTMS) can improve these motor symptoms. The objective of this study was to investigate the neural mechanisms through which 25 Hz rTMS may improve motor symptoms in Parkinson’s disease. In a double-blind placebo-controlled study, we evaluated the effects of 25 Hz. rTMS in 10 Parkinson’s disease patients. Fifteen rTMS sessions were performed over the primary cortex on both hemispheres (one after the other) during a 12-week period. The patients were studied using functional magnetic resonance imaging during performance of a simple tapping and a complex tapping task, 1 week before the administration of the first rTMS session and just after the last session. rTMS improved bradykinesia, while functional magnetic resonance imaging showed different cortical patterns in prefrontal cortex when patients performed the complex tapping test. Furthermore, the improvement in bradykinesia is associated with caudate nucleus activity increases in simple tapping. Finally, we observed a relative change in functional connectivity between the prefrontal areas and the supplementary motor area after rTMS. 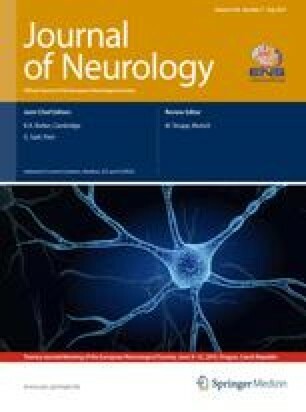 These results show a potential beneficial effect of repetitive transcranial magnetic stimulation on bradykinesia in Parkinson’s disease which is substantiated by neural changes observed in functional magnetic resonance imaging. We thank Diana Millan-Aldaco, Marcela Palomero-Rivero and Francisco Pérez-Eugenio for their technical support and advice. This work was supported by a grant from IMPULSA 02-UNAM. Nadia González-García had a CONACYT (México) fellowship and additional support from the PhD Program of Biomedical Sciences, UNAM.